On July 6, 2013, over 60,000 fans gathered to hear Toby Keith and his friends, and support the people devastated by at Tornado. The concert was held at the University of Oklahoma’s Memorial Stadium in Norman, Okla., just outside Oklahoma City and not far from Moore, a town hit hard by tornado in May of 2013. Along with Toby Keith, was Willie Nelson, Garth Brooks, Trisha Yearwood, Ronnie Dunn, Mel Tillis, John Anderson, Sammy Hagar, Krystal Keith, Kellie Coffey, and (via satellite) Carrie Underwood. Despite the heat, remained energetic throughout, both for the artists and the cause. Proceeds from the concert will benefit the United Way of Central Oklahoma May Tornadoes Relief Fund. 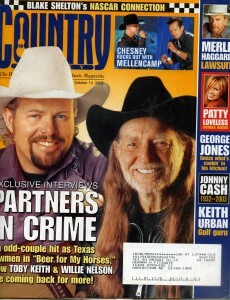 Looks like Toby Keith had a change of heart about never smoking “Weed With Willie Again”! Staying true to his gift of penning upbeat country songs with a speck of southern humor, Keith debuted his latest single “Wacky Tobaccy” dedicated to that infamous green plant, and who better to co-star in a music video for such a song than Willie Nelson? Keith filmed the hilarious music video on his tour bus with his fellow bandmates before the country music legend emerged from the bathroom surrounded by a cloud of smoke. Nelson picked up his guitar and immediately started jamming out with the boys before the crew indulged in pizza and hot wings. You can watch the hilarious video below. Waylon Jennings sadly passed away in 2002 following complications from his diabetes. Battling drug addiction until the mid-80s, Jennings was plagued by health issues in later life and died at the age of 64. Despite his personal issues, Jennings had a successful career that hailed the arrival of outlaw country, a subgenre of music that offered a sound steeped in tradition rather than adhering to the more polished country sound of the 60s and 70s. In 2015 Don Was and Buddy Cannon organised a tribute concert to celebrate the impact and enduring influence of Jennings’ music. 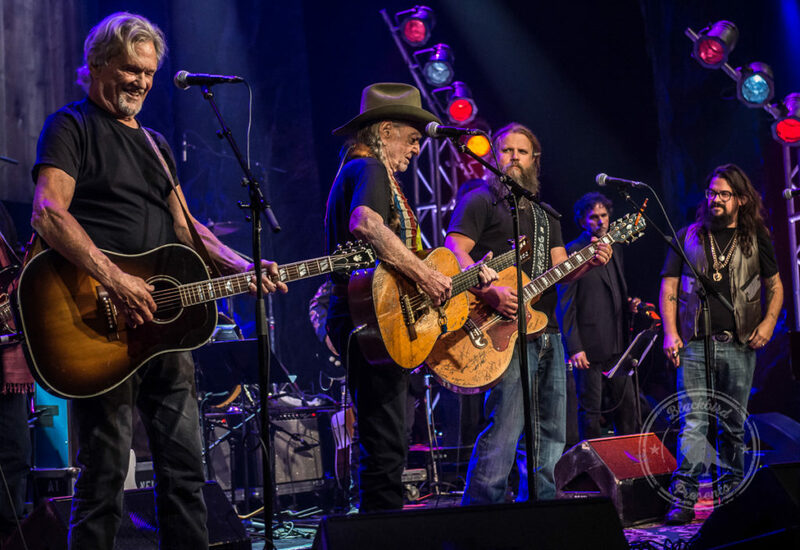 Featuring stars such as Chris Stapleton, Lee Ann Womack, Kacey Musgraves and Willie Nelson, Outlaw: Celebrating the Music of Waylon Jennings was recorded at ACL Live at The Moody Theater in Austin Texas. Almost two years on from that event, it has finally been released as a CD/DVD package. In a time when the age-old debate about ‘what is country music?’ rages on, it’s timely to revisit the music of Jennings. Outlaw kicks off with Chris Stapleton performing I Ain’t Living Long Like This, which was a number one hit for Jennings in 1979. Stapleton is one of the current crop of country stars that have taken on the outlaw country mantle so it’s fitting that his presence builds the bridge between Jennings and his own music. It’s an uptempo start to a collection of performances that pay touching tribute to Jennings fantastic catalogue of songs. Over the course of Outlaw, some of Jennings’ past collaborators make appearances. Jessi Colter takes on Mona and Willie Nelson appears throughout, flying solo on the highlight Till I Gain Control Again. 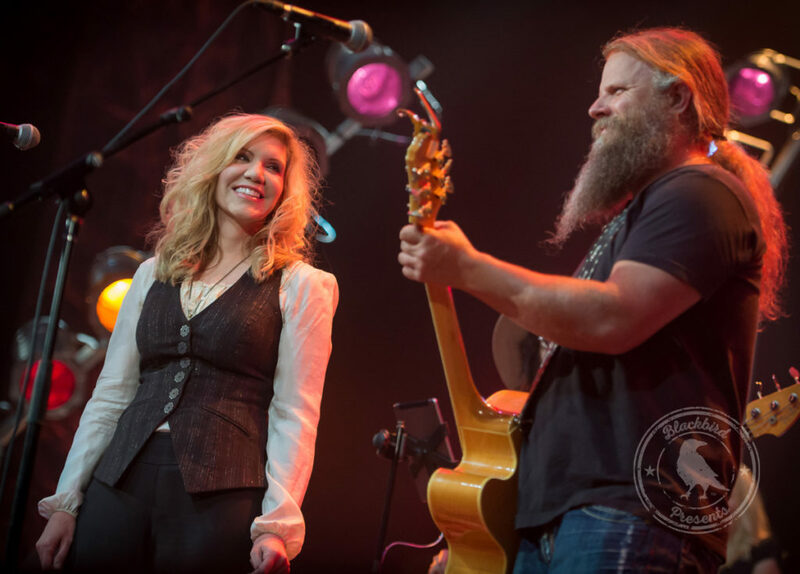 Alison Krauss reprises her cover of Dreaming My Dreams With You, which was released in 1999 as part of her album Forget About It. Her emotive performance has the audience whooping and hollering in the middle of the song and it’s a stunning version of the track. Elsewhere on the release Kacey Musgraves puts her on spin on The Wurlitzer Prize, Bobby Bare impresses on the punchy Only Daddy That’ll Walk the Line, and Ryan Bingham rasps his way through Rainy Day Woman. Jennings son Shooter also performs Whistlers and Jugglers early on the set. The DVD part of the release features the entire evening. 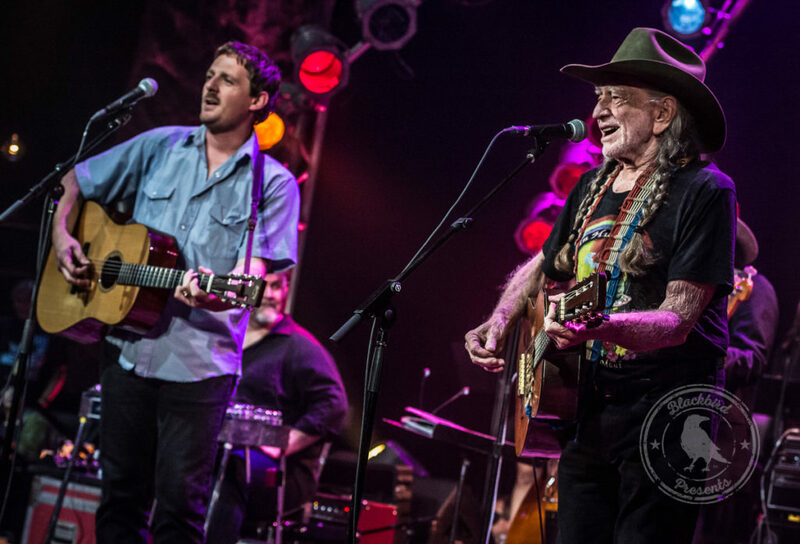 It’s a shame that I Can Get Off On You by Willie Nelson and Sturgill Simpson was omitted from the CD but I’m glad it’s present as part of the DVD. Simpson is another artist, like Stapleton, who is leading the charge when it comes to modern outlaw country music. Extras on the disc include several featurettes, one of which sees the stars from the event talking about the influence of Jennings on their own music and careers. 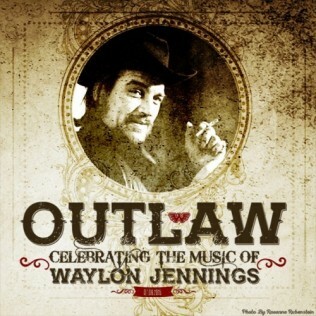 Outlaw: Celebrating the Music of Waylon Jennings does exactly what it says on the tin. The assembled musicians honour Jennings’ incredible songs while putting their own spin on it. If you’re not overly familiar with Jennings’ music, you’d be forgiven for thinking that some of these could be original recordings that are relevant in today’s country music. If nothing else, this collection will have you digging out your Jennings records and remembering just what an incredible artist he was. If you’re looking for musical longevity, look no further than America’s most wanted country outlaw, Willie Nelson. He’s still recording and touring like he was twenty years ago. And twenty years before that. Pick any Hall of Fame member, and they’ve probably written a song or two with the Red Headed Stranger. Here are our favorites. This one makes the list just for sheer absurdity. Country music often deals in novelty hits, and this song about celebratory horse inebriation is no exception. “Beer For My Horses” tells the story of Texan vigilante justice. In the music video, justice in the name of dead prostitutes. For bonus points, check out Keith’s B-side “Weed With Willie” to get a sense of what their sessions were like. The Highwaymen’s biggest hit was this Jimmy Webb cover from their eponymous album, which they released in 1985. With its reverbed drums and synth sounds, it has a distinctly 80s feel to it. Some Highwaymen cuts feel overcrowded, which is the perfectly logical result of four gruff country boys singing at the same time. “Highwayman” has the members of the supergroup trade verses, each more forlorn than the last. When they do harmonize, it’s the best kind of chilling. The opener of Shaver’s 2014 effort Long In The Tooth is all about aging, and it features plenty of the clever wordplay that makes country music so appealing. Both Shaver and Nelson are in their eighties, so naturally their reminiscing will have a certain weight to it. The song finds the old hands lamenting not only the trials of their creaky stardom, but the Nashville whippersnappers who “go and call it country / But that ain’t the way it sounds”. Thank goodness these desperados are still on the scene. Does it get better than these four gentlemen covering a Sticky Fingers classic? 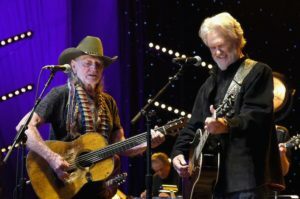 The live track appears on his 2002 live compilation Willie Nelson & Friends, Stars & Guitars, which features honorable mentions like Bon Jovi and Emmylou Harris. This cover is impeccable. The chorus gets pretty close to a religious experience. Nelson and unofficial New Orleans spokesman Wynton Marsalis released Two Men With The Blues back in 2008, and the entire record is full of killer cuts. Their reworking of this folk classic is a standout. Hearing Nelson front over the bubbly dirge jam from Marsalis’ band will definitely put you in good spirits. Besides, we’re sure Nelson is genuinely distraught at the idea of not being able to buy beer. Sometimes the best duets are between two artists no one would ever think to pair. Nelson’s rough rodeo vibe goes seamlessly blends with Jones’s jazz fairy charm. This version of the Christmas standard is stripped down just right, giving Nelson and Jones room to balance each other out. Spend any time rifling through Nelson’s discography and you’ll find plenty of southwestern and gospel influences, but rarely do you see them together. In this grand retelling of Romeo & Juliet, verse-chorus dynamics combine with impassioned performances to create something divine. Ray Charles always has the charisma of a preacher, so no surprises there. Nelson seems more moved than usual, and the results are otherworldly. The closing number on Nelson’s 2002 record The Great Divide features Bonnie Raitt. This live performance from the same year has Nelson harmonizing with Sheryl Crow on a somber look back at an old love. Nelson tends to prefer balladry when he sings with women, but this track is special. What begins as a sort of understated “The Way It Is” swells into rolling hills of gorgeous, bittersweet regret. Both versions are magnificent, but Crow has a slightly bigger vocal role in hers, making it that much more breathtaking. This is arguably one of the best hits produced by the outlaw country movement. The dusty duet originally appeared on 1978’s record Waylon & Willie. The mournful maternal plea has been recorded by many, but this version has by far been the most popular. Though the pair’s ranching experience is minimal at best, they sure knew what it meant to be lonely on the road. Released on green vinyl for Record Store Day 2013, this hilarious ode to the world’s favorite drug has Nelson and friends making a pretty peculiar will & testament request. The bouncy, juke-y tune features fellow Mary Jane enthusiasts Snoop, Kristofferson, and Johnson crooning over plenty of twang and a smattering of accordion. Say what you will about Nelson’s indulgences, but everyone who goes to his funeral is bound to have a real good time. 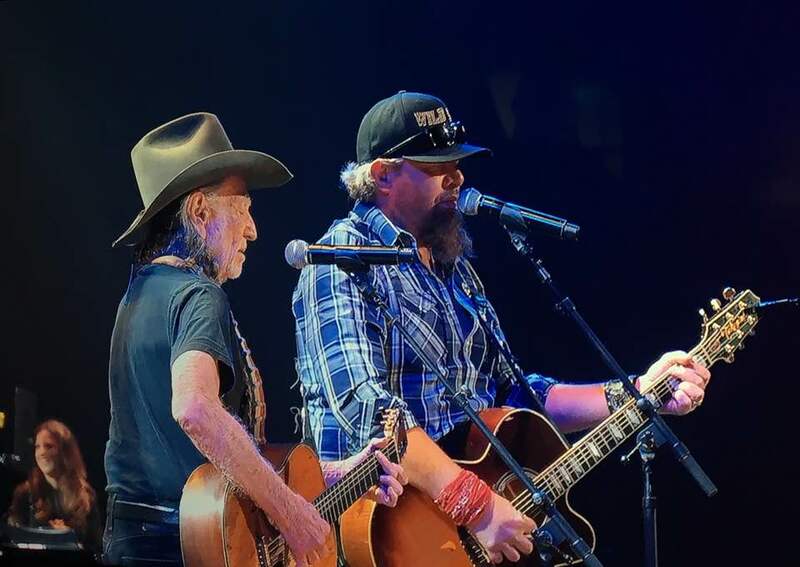 Toby Keith and Willie Nelson teamed up to perform an epic cover of Merle Haggard‘s “Rambin’ Fever” at the Sing Me Back Home: The Music of Merle Haggard tribute concert in Nashville on April 6. Click play above to watch the duo perform Haggard’s 1977 hit, and scroll down to check out a special solo performance from Keith. Originally released as part of Haggard’s 1977 album of the same name, “Ramblin’ Fever” is characterized by the country icon’s signature songwriting, which reads like a story, and his ability to portray bravado and compassion in the same breath. When lyrics such as “If someone said I ever gave a damn, they damn sure told you wrong” combine with the quavering warble of Haggard’s vocals, listeners can’t help but wonder if he really does care more than he lets on. 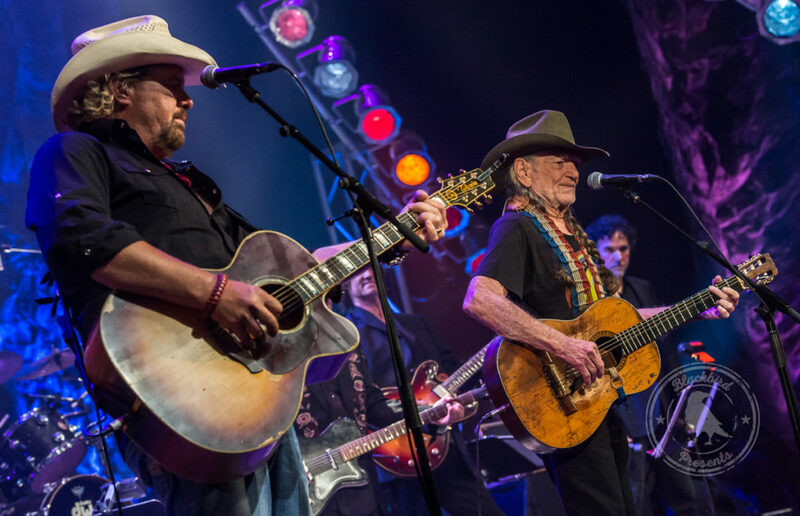 During Sing Me Back Home: The Music of Merle Haggard, Nelson made multiple appearances onstage, performing hits from his and Haggard’s 1983 collaborative record Pancho & Lefty as well as solo-Haggard hits such as “Rambin’ Fever.” Along with his appearance with Keith, Nelson also performed “Pancho and Lefty” with Kenny Chesney and “Reasons to Quit” with Keith Richards of the Rolling Stones. Keith also performed more than once during the special concert event, taking the stage a second time for a solo performance of Haggard’s 1971 chart-topper “Carolyn.” Originally released as the second single from his Someday We’ll Look Back album, the song earned Haggard his 11th No. 1 hit and was the perfect tune for Keith to perform in his honor. CMT will premiere “Outlaw: Celebrating The Music Of Waylon Jennings on CMT, tonight Friday April 7 at 10PM ET. 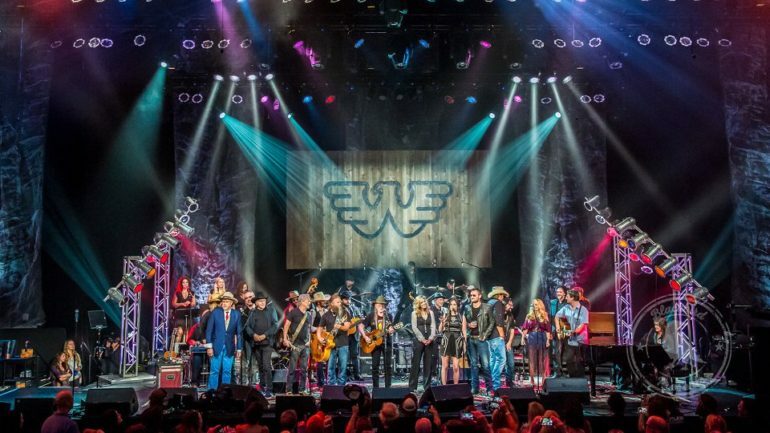 The movie features the music of Waylon Jennings along with interviews and behinds the scenes footage from this all-star concert event in Austin TX. Thanks to Elaine Shock, for sharing her photo from last night’s concert honoring Merle Haggard. “Outlaw” will air 9 p.m. Friday, April 7th, on CMT. On May 26, 2004, music video to Toby Keith and Willie Nelson song, ‘Beer For My Horses’ wins best video award at CBS’ 39th annual Academy of Country Music Awards at Las Vegas’ Mandalay Bay.